The Hollywood Bowl is a true L.A. classic, and in a town where restaurants are famously fleeting and customers notoriously fickle, Casa Vega in Sherman Oaks has thrived for more than 60 years. The beloved eatery has been a favorite hangout for generations of Valley residents, celebrities too, and chef/owner Christy Vega reminds us that some of her family recipes are perfect for a south-of-the-border picnic at the Bowl. Soak the ears of corn in a large bowl of water for about 20 minutes. Remove and drain. Preheat your grill to medium. Brush corn cobs with oil and wrap with aluminum foil. Place on grill and cook for about 3-4 minutes on each side. Set aside to cool. In a large bowl, mix together mango, tomato, jalapeño, red onion, cilantro, and lime juice. When corn has cooled, slice the kernels off of the cob and mix into the salsa. Season with salt to taste. Chill or serve at room temperature with your favorite tortilla chips. 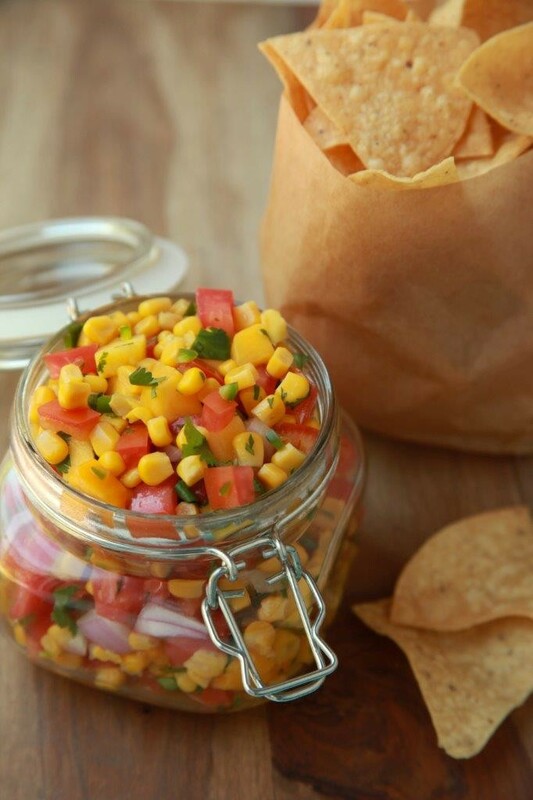 This salsa easily packs in a Mason jar to take for a picnic at the Bowl. Toss sweet potatoes in olive oil and season with salt and pepper. Lay a single layer on a baking sheet. Roast in the oven for 10 minutes, tossing after 5 minutes, until golden brown. While sweet potatoes are roasting, pound chicken breasts to a uniform thickness. Season with lime juice, cumin, salt, and pepper. Grill chicken on the barbecue grill, stove top, or bake in the oven, turning once, until the internal temperature reaches 165°F. Set aside and allow to rest for 5 minutes before slicing. Chop chicken into bite-size pieces. 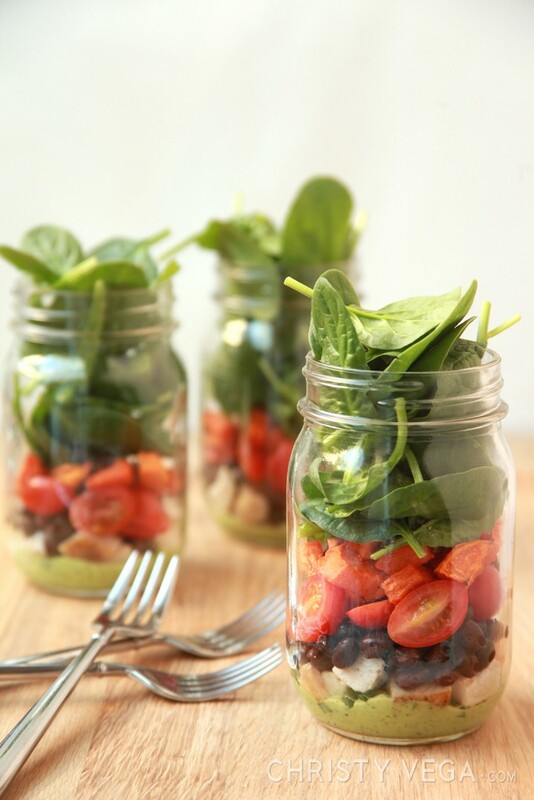 To assemble, pour a little more than 2 tablespoons creamy avocado dressing into each Mason jar, spreading evenly. Layer with green onions, black beans, tomatoes, sweet potatoes, and spinach. Seal and refrigerate until ready to eat. One of the great things about this dish, besides being so fun, is that it can be made and stored in the refrigerator for up to three days. When ready to serve, add toasted pepitas or tortilla chips for a little crunch. 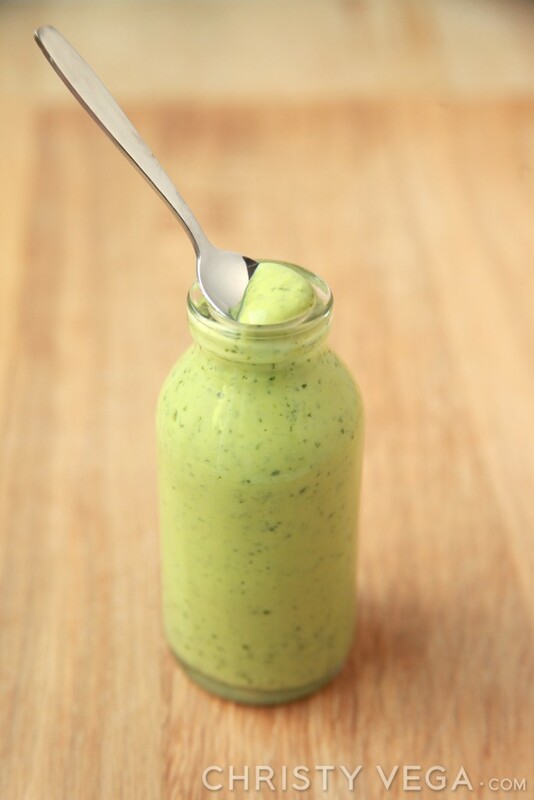 Using a food processor or blender, blend together avocado, cilantro, yogurt, green onion, and garlic. Add lime juice. Season with salt to taste. Thin the dressing with milk to desired consistency. In a medium saucepan, bring coconut milk to a slow boil. Reduce heat to a simmer. Whisk in sugar and cornstarch mixture. Continue to whisk to avoid lumps for about 5 minutes. Test the readiness of the custard by dipping a spoon into the mixture. The custard is ready when it leaves a thick coat on the back of the spoon. Remove from heat and whisk in the lime zest and juice. Divide the custard among the mini-Mason jars or small cups. Cover and place in the refrigerator to allow to set for at least 4 hours or overnight. While the custard is setting, make the graham cracker topping. Using a food processor or blender, add graham crackers and shredded coconut. Pulverize into crumbs. Garnish mini-custards with graham cracker-coconut crumbs right before serving. Gustavo Dudamel accents the colors, rhythms, and passion of music by leading composers from Argentina in this invigorating evening under the stars. The Empress of Soul, seven-time Grammy® winner Gladys Knight, continues her decades-long reign as R&B royalty. The award-winning singer has recorded more than 38 albums and scored No. 1 hits in Pop, Gospel, R&B and Adult Contemporary. Stravinsky’s Firebird will take over the stage of the Hollywood Bowl with larger-than-life puppets and choreography created by Janni Younge of Handspring Puppet Company, the craftsmen and engineers behind Broadway sensation War Horse. Gustavo Dudamel conducts the beloved annual tradition, featuring classic ballet and the iconic 1812 with the Bowl’s famous pyrotechnic display.